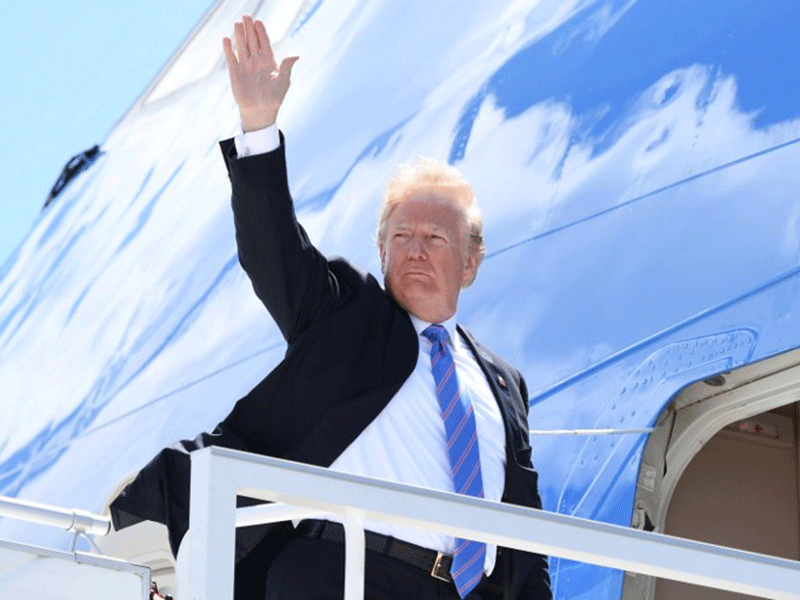 President Donald Trump has lashed out at US allies Monday in a Twitter rant focusing on trade following a contentious G7 summit of economic powers in Canada at the weekend. "Fair Trade is now to be called Fool Trade if it is not Reciprocal," Trump tweeted, as he criticized Canadian tariffs on imports of US milk. Canadian Prime Minister Justin Trudeau then "acts hurt when called out!" Trump wrote. Trump pulled out of endorsing a joint communique after the G7 meet finished on Saturday with the US president accusing Trudeau, the summit's chairman, of dishonesty. His Twitter rant on Monday continued: "Why should I, as President of the United States, allow countries to continue to make Massive Trade Surpluses, as they have for decades, while our Farmers, Workers & Taxpayers have such a big and unfair price to pay? Not fair to the PEOPLE of America!" Adding to the US trade eficit is "the fact that the U.S. pays close to the entire cost of NATO-protecting many of these same countries that rip us off on Trade (they pay only a fraction of the cost-and laugh!)." According to Trump, Germany "pays 1% (slowly) of GDP towards NATO, while we pay 4% of a MUCH larger GDP. Does anybody believe that makes sense? We protect Europe (which is good) at great financial loss, and then get unfairly clobbered on Trade. Change is coming!" Figures that Trump cites in his tweets have often been found to be incorrect or misleading. He concluded: "Sorry, we cannot let our friends, or enemies, take advantage of us on Trade anymore. We must put the American worker first!" Almost as an afterthought, Trump - currently in Singapore for a summit with North Korean leader Kim Jong Un - tweeted: "Great to be in Singapore, excitement in the air!"